Japanese Yuki Ito made a strong showing on practice day for the 2015 Asia Road Racing Championship coming home with a fifth best time in the first session, third in the second session and fourth in the last session for the premier Supersports 600cc class. The PETRONAS Hong Leong Yamaha Rider timed 1:05.896s before improving 1:05.689s then taking it a notch higher with 1:05.593s. Still fitting in, his comrades, Ahmad Afif Amran and Mohd Fitri Ashraf Razali timed 23rd and 24th fastest with 1:07.170s and 1:07.385s in the first session. Afif went faster in the second session with 1:06.801s while Fitri is still trying to get used to the big YZF-R6 race machine. Makoto Inagaki tops the first session with 1:05.499s while the second session had Ahmad Yudisthira as the fastest with 1:05.272s. The Indonesian again topped the time sheet in the last session with 1:05.152s. 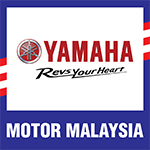 Yamaha is still in the midst of developing their recently released R25 to drive out contenders in the Asia Production 250cc category, a new class debuted in Sepang for the 2015 Asia Road Racing Championship. Tuning the 250cc ‘mini-YZF’ into a proper race machine, the progress is expected to churn positive results hopefully by the end of the season to cater its Malaysian riders, Mohd Izzat Zaidi and Kasma Daniel Kasmayudin. In the first free practice, Kasma of Yamaha Finson Racing managed 16th fastest with his best time – 1:18.758s, two seconds behind fastest rider, Japanese Takehiro Yamamoto (1:16.195s) while Izzat (RCB Yamaha YY Pang Racing Team) went off the fighting grid in 21st position with 1:20.346s. Kasma maintained his position but shed off a fraction of a second to time 1:18.535s ahead of Izzat who timed 1:18.991s, also improving on his own playing field. Progress was made in the last practice session with Kasma taking off a second with 1:17.724s in 14th place while Izzat too managed to clock better time in 1:19.103s. Takehiro dominated practice sessions all through the end as fastest rider of the day. Both Yamaha wildcard riders, Ahmad Fazli Sham and Abdul Muhaimin Roslan of PETRONAS Yamaha Maju Motor excelled in both practice session in the Asia Road Racing Championship season opener in Sepang. Younger Muhaimin clocked 1:21.314 as the second fastest overall in the first free practice behind fastest rider, Indonesia’s Gupita Kresna Wardhana who timed 1:21.251s. To complete the top three best time for this session, Muhaimin’s teammate Ahmad Fazli Sham listed himself third fastest in 1:21.594s while PETRONAS Hong Leong Yamaha contender, Mohd Affendi Rosli slightly missed to top five mark coming back to paddock with 1:22.968s in seventh spot. Affendi’s team protege, Ahmad Syukran Aizat managed a decent 19th with 1:24.766s. The result sheet came out more or less the same in Practice 2 with Fazli now changing the game as second fastest (1:21.105s) behind top rider Norizman Ismail while Muhaimin dropped to sixth in 1:21.936s. Still fine-tuning his strategies, Affendi came in tenth (1:22.641s) while Syukran made a slight improvement in 17th with 1:23.383s.